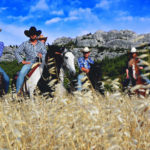 Located in the beautiful Alpilles Natural Park of Provence, France, LE PETIT ROMAN Ranch offers a truly unique experience. 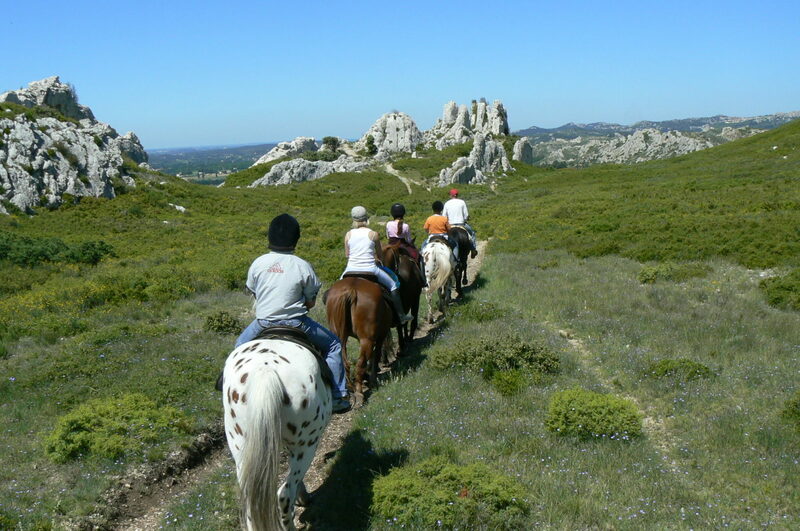 Come and experience horse rides throughout Alpilles hills all year long. Want to go horseback riding but have a young cowpoke who’s hesitant to ride a full-sized steed ? Don’t fret. 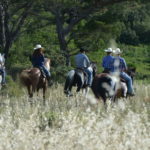 At Le Petit Roman, a youngin’ can saddle up on a gentle horse which is led by someone holding a leadline. 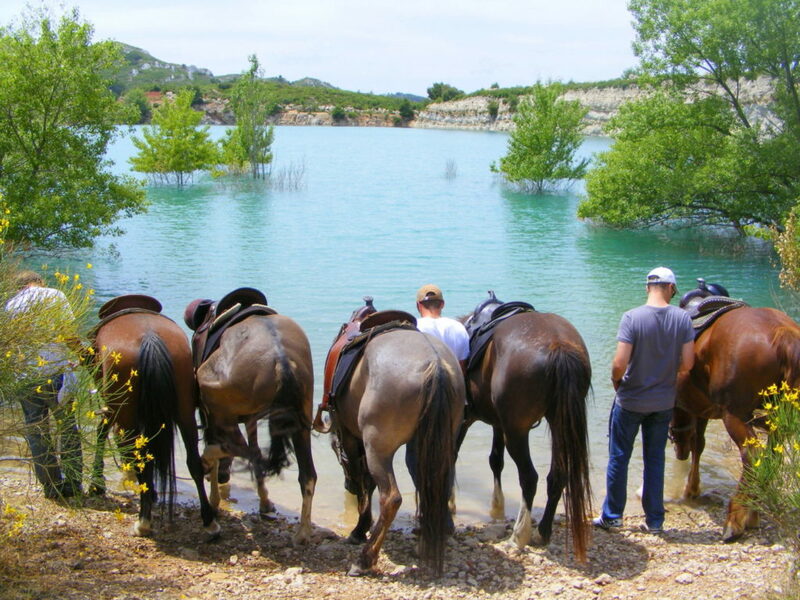 Leisurely savor the outdoors, learn about provençal wildlife and history and get a different point of view from the saddle of a horse. 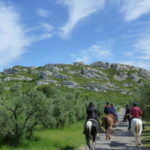 Olive groves and pine forest will be our setting and I will show you secret spots in heart of Alpilles Natural Park. 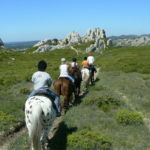 A horse ride on Alpilles secret paths, which will reveal the mystic quietness of enchanting landscapes. 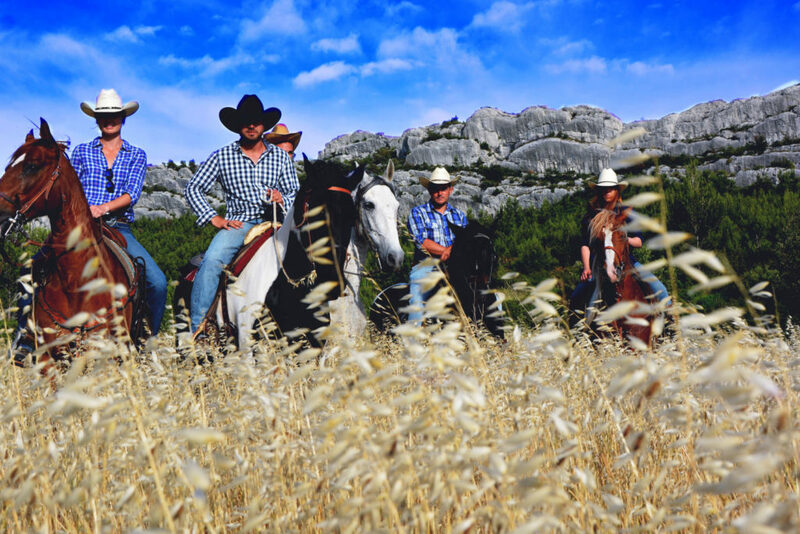 The perfumes of the Provencal garrigue is ever present as the horses crush rosemary, thyme and cistus under hoof. In spring time, enjoy the pine trees, scented by “the solar brooms”, and shaded with red arbutus. 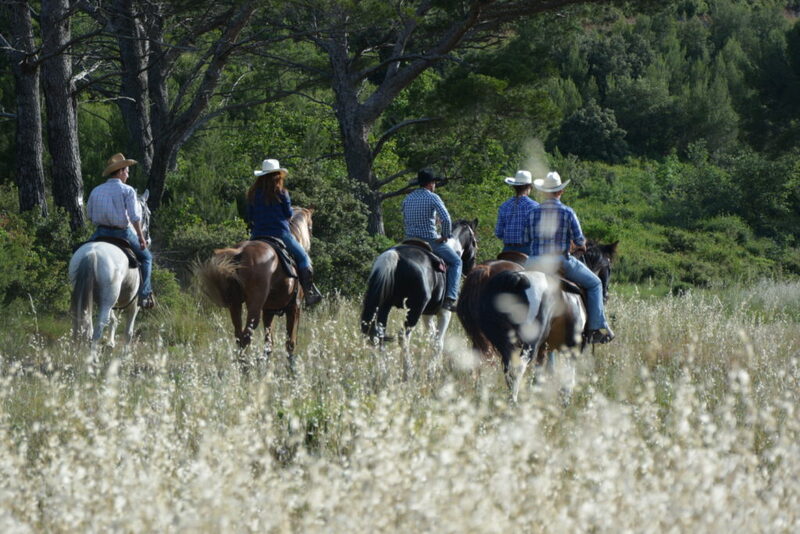 The perfumes of the Provencal garrigue is ever present as the horses crush rosemary, thyme and cistus under hoof. 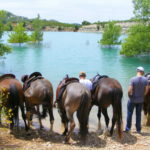 1:30 HOUR HORSE RIDE through rolling hills, Olive groves and Vineyards, to discover local know-how. 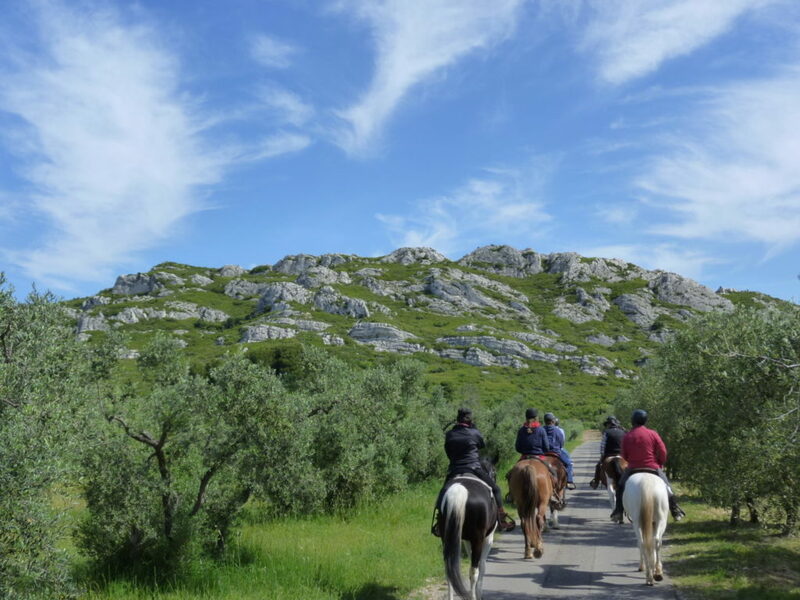 Once you dismounted, enjoy the tasting of local products such as olive oil, wine, olives, jam, goat cheese.